Presentation on China and its implications for the global economy to be delivered to students and representatives of the EMBA program at the Peninsula Hotel in Beijing. But the people who built Capsa have not started from scratch. Their shared enterprise is based on three decades of global car companies’ experience working with Chinese partners. International car executives are confident such ventures will continue to be the best way to reach Chinese customers, who now buy more than 20m new vehicles annually, making it the world’s largest automobile market. But their enthusiasm for these awkward corporate vehicles, with their unique management challenges, obscures the fact that the path of co-operation has been bumpy. From the outset in the 1980s, automotive joint ventures in China were built on hopes of mutual benefit, tinged with mutual suspicion. George Xue of Fudan University’s school of management in Shanghai says they are “central [to] the Chinese economy”. The nation had three main aims in encouraging them: “Developing industry, upgrading technical expertise and enhancing our management level.” International carmakers, meanwhile, were prepared to share their manufacturing technology and knowhow with Chinese state-owned partners in the hope of gaining access, initially via local government contracts, to the wider market. The joint ventures are odd creations. The largest state-owned carmakers frequently cultivate relationships with non-Chinese rivals. 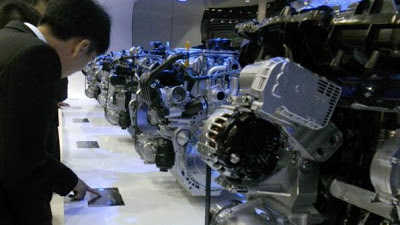 SAIC Motor in Shanghai, for instance, operates 104 joint ventures, including two of the biggest – one with Volkswagen and another with General Motors – as well as its own independent carmaking operations. But these enterprises now have deep roots. Ahead of the auto show in Shanghai last month, Volkswagen celebrated with SAIC the 30th anniversary of the first Chinese-built VW Santana. From China’s point of view, local production was revolutionised by association with the global companies. The Chinese partners grew large on the back of joint-venture production. At a roundtable at the Boao Forum for Asia last month, Hu Maoyuan, SAIC’s chairman, attributed its “development into a Fortune Global 500 company from a local small company” to the opening of the economy and opportunity to co-operate with global carmakers. The Chinese also appear to value management experience acquired via joint ventures: Mr Hu and his vice-chairman are former presidents of Shanghai GM. Meanwhile, mutual suspicion has waned. According to G.E. Anderson’s book Designated Drivers, Peugeot’s first, failed venture, with Guangzhou Automotive Manufacturing in the 1980s, was marked by “resentment that, although the Chinese workers were being taught to speak French, there appeared to be no desire on the part of the French expatriates to learn Chinese”. The Chinese also bridled at strict French production methods, while the French did not export the Chinese-made Peugeots, as planned, lest the poor quality hurt their brand. By contrast, Capsa’s managers use English and Chinese – based in part on the fact it is easier to find Chinese-English interpreters. Capsa’s Shenzhen plant is hard to distinguish from European or US car factories, though managers boast it is more compact, and therefore likely to be easier to run. It draws on lean manufacturing techniques, such as the use of modular plastic racks and trolleys along the production line. In a negotiation typical of Chinese joint ventures, the French team had to convince its Chinese counterparts such racks would be a better investment than cheaper, but rigid, metal alternatives. To pre-empt potential clashes, Capsa workers were asked to bring their tools to the first training sessions to help integrate their working methods into the planning of the plant. Ying Zhanwang, executive vice-president, says the joint venture has developed a “one goal, one team, one process” system of production-line excellence based on best practice at Chang’an and Peugeot. It also capitalises on Chang’an managers’ and engineers’ experience working with Mazda and Ford in other joint ventures. Shanghai GM is the longest-running example of this co-operative approach. In American Wheels, Chinese Roads, Michael Dunne writes about the critical moment, in 1998, when Phil Murtaugh, then general manager of GM’s Shanghai operations, and Mr Hu, at the time his Saic counterpart, laid out a four-point plan for a “kind of co-operation never before witnessed in China’s automotive industry”. It included the requirement that Shanghai GM staff should put the joint venture first, in contrast to the more rigid delineation between German and Chinese managers at rival Shanghai VW. Kevin Wale, former president of GM China, says all joint ventures are moving towards Shanghai GM’s co-operative style. VW and SAIC set great store, for instance, on forging a closer common culture through initiatives such as Shanghai Volkswagen University, set up last year to train staff in areas such as product development and sales and marketing. Mr Wale and other analysts also say there is no reason why Shanghai GM’s approach should be more successful than Shanghai VW’s and point out that relations within the GM-SAIC venture are not always harmonious. Bob Socia, Mr Wale’s successor, says the expatriate roles at Chinese joint ventures are “not easy jobs, because you have lots of bosses”. Trying to look at problems from your partner’s perspective can be draining, Mr Wale adds: “It isn’t a natural phenomenon to always be looking behind the curtain.” As an example, both point to Saic’s insistence on – and GM’s initial resistance to – development of the Chevrolet Sail at a production cost and price level far lower than the Americans were used to. Since the 1980s, automotive companies have learnt how to tailor old models, and, increasingly, to design new cars to Chinese tastes. Asked what the Chinese have taught them, most expatriate managers refer to their counterparts’ determination to reduce process complexity and costs. But have the international carmakers applied these lessons or other Chinese-led innovations to their operations in other markets? “Less than they could or should have done,” says Bill Russo, a former Chrysler executive whose Synergistics consultancy now advises companies on building cross-border partnerships. In three areas – development of Chinese-branded cars, the export of Chinese-made vehicles and the sharing of intellectual property – Chinese companies, and their political paymasters, have not achieved what they hoped for in the 1980s. The arrangements were supposed to prompt the development of competitive homegrown models. At the Shanghai show, scores of Chinese brands were on display but non-Chinese marques have the upper hand in the market. This is partly because the Chinese are happy to reap the monetary and industrial rewards from the joint ventures, but also because the Chinese consumer has developed a taste for the international brands. SAIC’s Mr Hu underlined at the Boao conference that the company was “working on independent research and development . . . and our independent brands are seeing long-term development, not only in terms of the technology level”. He admitted, however, it would require “the efforts of generations” for sales of Chinese-branded petrol and diesel vehicles to surpass those of joint-venture brands. The original joint-venture contracts also made clear that the new enterprises would eventually export their vehicles from China. But one analyst says international companies have deliberately “slow-walked” exports because they could pose a direct competitive threat to their wholly owned subsidiaries in third countries. At the same time, with a few exceptions – including the Sail, whose intellectual property belongs to GM’s local joint ventures – international companies have been reluctant to share designs with Chinese partners. Most “new” co-owned joint-venture brands are pale versions of older models. Chinese and foreign partners have a strong shared interest in prolonging their moneymaking ventures. But if China slows, or local brands fail, the demands on joint ventures will intensify, further complicating the management of the world’s largest, but strangest, co-operative enterprises. The question for most of the automotive joint ventures in China is what will happen if and when the planets no longer line up. Is your joint venture really necessary? Shanghai GKN Driveshaft, a car parts venture between GKN of the UK and SAIC, dates from 1988, making it one of the oldest in the sector. Xue Jinda, its managing director, says it combines the “successful characteristics of both Chinese and western parties” – so successful that in 2009 the partners extended it for another 50 years and have just expanded its scope. But in other industries, where joint ventures are not mandatory, they are usually shorter-lived and, in many cases, may not even be necessary. Richard Grams, who runs the Shanghai office of Benesch, the US law firm, says very few partnerships work after year three. Often, in that time, “the company has spent as much or more time managing the relationship with the JV partners than they have pursuing the business”. Unlike the carmakers, which operate via larger, more rigid equity joint ventures, a growing number of international companies in China are now using flexible “contractual” or “co-operative” agreements, under which more than two partners can have different shareholdings, pay-off schedules and objectives. Non-Chinese companies may also prefer to link up selectively with specific local companies for one product or activity – for instance, distribution – rather than for the entire business. Where there are likely to be large upfront costs, or difficult negotiations with government officials, it makes sense to use a Chinese partner. But John Huang of Chinese law firm MWE China says that since 2000, more foreign groups have set up “woofies”, wholly foreign-owned enterprises, than joint ventures. As Andy Reynolds Smith, GKN’s chief executive of automotive, points out, businesses with many customers lower down the supply chain may find it easier to serve China through a wholly owned subsidiary, as GKN does in the powder metallurgy division he also oversees. Bill Russo will present a paper titled "Towards a Green Automotive Industry" at the 2nd International Symposium on Automobile Steel 2013, to be held in Anshan, China from May 21-24. He will highlight the need for a new business model to foster cross-value chain collaborations in order to the build the green transportation ecosystem. EVs face the same market hurdles in China as the U.S., so auto makers are turning to advanced-technology internal-combustion engines to meet emissions, fuel-economy and customer cost requirements. Geely displays its line of “self-developed” engines at Shanghai auto show. SHANGHAI – It’s no secret China has huge plans for developing its electric-vehicle market. So electrification must be the biggest powertrain trend under way here, right? EVs face the same hurdles in China as in the U.S., including high cost, short range and lack of infrastructure. While Chinese auto makers all are developing some EVs, they aren’t rushing into the segment. But they do have to meet stiffening emissions and fuel economy standards, and consumer demands for cleaner air are growing as well. As a result, local vehicle manufacturers are turning to familiar fuel-saving technologies for traditional powertrains, such as turbocharging and direct injection. While Chinese consumers may not be willing to pay more for EVs, they are willing to shell out extra renminbi for technology that will save fuel and improve their driving experience. “Technologies which improve efficiency of gasoline-powered cars are being featured, since they provide a clear value proposition for today’s consumer,” says Bill Russo, president of Beijing-based Synergistics and a former vice president of Chrysler’s North East Asia operations. BorgWarner sells turbochargers in China and has seen business double in the past three years. It expects sales to double again in the next three years. The burst of business is being driven by toughening fuel-economy and emissions standards, as well as the fact that turbocharged vehicles are more fun to drive, BorgWarner China President Tom Tan says. Turbocharging already is standard on many vehicles in the market. “It is no longer premium, only an option,” Tan says. Some 80% of turbochargers over the next five years will be installed on engines displacing 1.4L-2.0L, the BorgWarner executive adds. Government policy plays a hand in that trend. Engines displacing 2.0L or less are popular in China because taxes are much higher on larger powerplants. “Regulations in China place the burden of fuel consumption on the consumer,” Russo notes. Increased application of DI technology is following along with the turbocharging trend, executives say. Ricardo China President Gary Tan says his customers, mainly local auto makers, are asking for downsized, turbocharged gasoline DI engines. Ricardo, a U.K.-based engineering consultancy, figures all gasoline-powered engines in China will include turbocharging and direct injection within 10 years. China’s domestic auto makers like to be seen as technologically innovative. Several stands at the Shanghai auto show in April included a line of powertrains, such as Geely’s “self-developed” turbocharged direct injection engine mated with a 7-speed dual-clutch transmission. Even these homegrown engines typically have been engineered with foreign help, however. Bernstein Research, in a presentation at the CBU 2013 Global Automotive Symposium here just prior to the auto show’s opening, notes Geely’s engines include 29% Toyota technology and 15% Mitsubishi technology. “In terms of their technical capability, (Chinese auto makers) are still way behind the major OEMs,” Ricardo’s Tan says. Gearboxes on domestic-brand vehicles generally top out at six speeds, he points out. But local auto makers are being pushed to add gears as foreign competitors such as BMW and Audi move to more sophisticated multispeed automatics. Ricardo sees 9- and 10-speed transmissions proliferating on cars in China by 2020. “More speeds is a trend that everybody will follow to increase comfort, but also to reduce fuel consumption and, therefore, emissions,” says William Wu, vice president-business development at Ricardo China. Dual-clutch is an emerging trend, industry insiders agree. Some customers have a “keen interest” in DCTs and automated-manual transmissions, Gary Tan says, but “we haven’t landed any programs yet.” He believes domestic auto makers remain wary about whether the market will accept the more-expensive technologies. But with foreign brands entering the low-end segments with feature-laden models, Chinese manufacturers will be forced to do the same, the Ricardo executive predicts. Italian supplier Magneti Marelli, a Fiat subsidiary, is betting on DCT growth in China, localizing production of the transmissions in the eastern city of Hangzhou. The operation initially will supply its local partners, including Suzuki, and then sell to other auto makers, Magneti Marelli China Manager Jack Cheng says. Automated-manual transmissions also have a bright future in China, Cheng says, noting Magneti Marelli will introduce its “robotized” automated manual here in November. Meanwhile, subsidies thus far have failed to get Chinese consumers excited about buying battery-electric and hybrid-electric vehicles. Beijing is expected to issue a new EV policy in the next few months with bigger subsidies for hybrids, including plug-in versions, which likely will take some of the focus away from EVs. Chinese customers reportedly purchased only 11,375 EVs and plug-in hybrids last year. The country’s goal is to have 500,000 hybrids and EVs on the road by 2015 and 5 million by 2020. But the expected shift in subsidies is heightening interest in broader electrification. Honda already sells its hybrid CR-Z, Insight and Fit models and reportedly plans to begin producing hybrid components in China in 2014. Local auto maker BYD reportedly is considering ending production of vehicles powered strictly by gasoline engines in favor of a model portfolio entirely focused on hybrids, plug-in hybrids and EVs. SAIC featured six electrified vehicles all in a line at its stand at the Shanghai show, ranging from a light hybrid to a fuel-cell vehicle. Only the light hybrid is on the market, and few have been sold. Shanghai GM, SAIC’s joint venture with General Motors, recently launched production of the Springo EV. “We will bring it out slowly,” says David Dunahay, interim executive director-electrification strategy at GM China. Ricardo forecasts 3%-5% of the market will be hybrids in 2020. However, that is still quite a few cars, considering a WardsAuto/Automotive Compass forecast that calls for new-vehicle production in China to reach 28.8 million in 2019.